Have you ever wished that there were somewhere you could go for your mortgage needs where you could experience the same level of trust and “got your back” mentality that you know from the fire ground? Wouldn’t it be great to work with a mortgage professional whose business is governed by those same philosophies and values? Yes, the page is called, “About Us,” but, really, it’s about YOU. Like you, we are active, retired, career and volunteer firefighters. Like you, we understand the job (and the second job), the sleepless nights, the sacrifices made by our families, and, of course, the undeniable bond we share with each other. And, like you, we work too hard and take too many risks earning our money to waste it by overpaying for a mortgage. 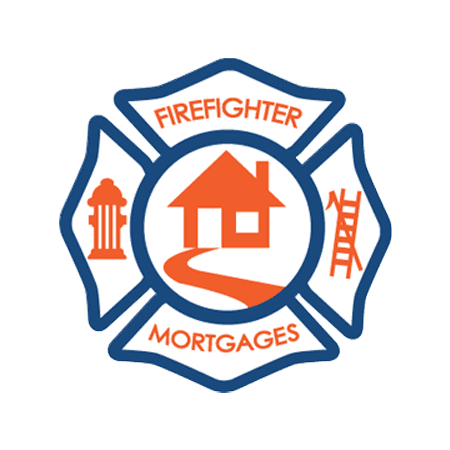 We have created FirefighterMortgages.com, by Bank of England Mortgage, as a resource for you to get sound mortgage advice and fair, honest deals. It is our objective to help you meet or exceed your mortgage goals in the simplest, most cost effective manner possible. We promise to give you the facts, not the runaround, and to really strive to simplify the mortgage process. We understand the importance of your transaction whether you’re purchasing a home, refinancing your home, or need relief from your mortgage. We take your situation seriously and treat you with the courtesy and respect that you deserve. Collectively, we have decades of mortgage experience that will only benefit you, especially in today’s complex mortgage environment. Count on your brothers in the mortgage business. Along with Bank of England Mortgage, a family run direct national lender with a focus on value and service, we are here to serve. Please let us know what questions you have and how we can help you! As firefighters, protecting each other is second nature. Count on us to earn your trust and do the right thing… every time. With our collective decades of mortgage experience, we’re here to serve you competently and professionally. By offering zero lender fees to our fellow first responders, we strive to deliver unparalleled value to our community. To provide unparalleled mortgage value and service to our brother and sister first responders in a safe and friendly environment, with their best interests as our guide. For as long as he could remember, Peter was drawn to emergency services and helping others. He served as a full-time FF/EMT with Palm Beach County (FL) Fire-Rescue and as a volunteer firefighter with Jericho (NY) Fire Department. In 1996, during his tenure with Palm Beach County, Peter became licensed as a mortgage broker and began helping firefighters, police officers, and other county employees with their mortgages. I have been a firefighter for the past 15 years, and seven years ago I began working as a loan officer. After hearing mortgage horror stories from fellow firefighters, I began originating mortgages for Texas Firefighters. My mission was give Texas firefighters the best mortgage experience possible. I personally help each client fully understand all aspects of the loan process and let them know what to expect from the beginning. I look forward to learning how I can help you and yours with your mortgage needs. Matt Burke is a veteran Firefighter/EMT at Andover Fire Rescue for the past 23 years. He was blessed into the fire service in 1993 and has cherished his career ever since day 1. Matt also volunteers his time with Andover Firefighters community activities, including the Fireman's Ball, The Christmas parade, raising money for Muscular Dystrophy, fund raising for the Andover Firefighters Scholarship Fund, and the Community Reading Program. Are You Our Next Crew Member? If you are a Firefighter/ First Responder and would like to make a difference by helping First Responder families with their mortgage needs, please contact us. Thanks and stay safe!